Before I start I want to tell you about a special swap I am doing with Cathy from the wonderful blog novembermoon. 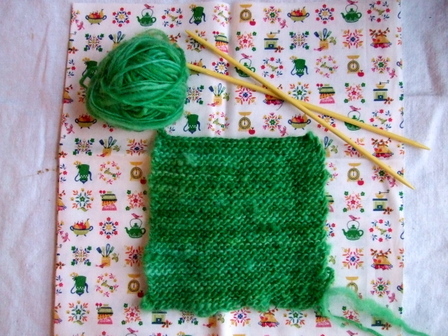 You see she and I both love to spin and knit and create colorful objects so we decided to have a monthly swap of home spun wool and make something out of the wool and then share it with each other and our flickr/blog friends. This was our first month and she sent me this beautiful wool spun with a spindle out of BFL roving. I thought this would make a beautiful rooster or cockerel so I set out to make one with a very simple pattern for the body. This amazing little square can turn into so many different birds and animals . I might share some more with you in the future if you let me know you are interested. 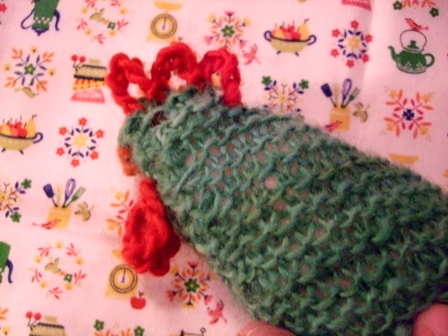 For this rooster I cast on 28 stitches and knit each row until I had a square. The number of rows will vary with the wool and needles you are using but here it is 40 rows . 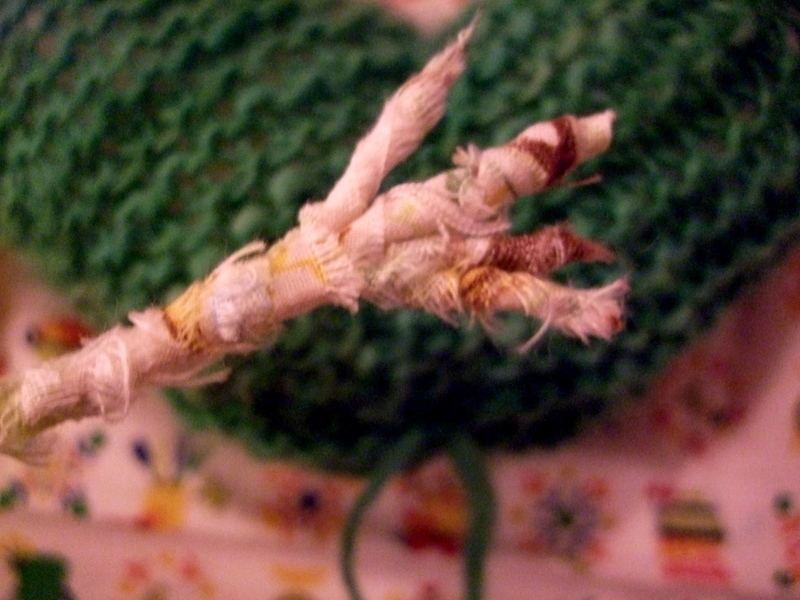 Cast off. 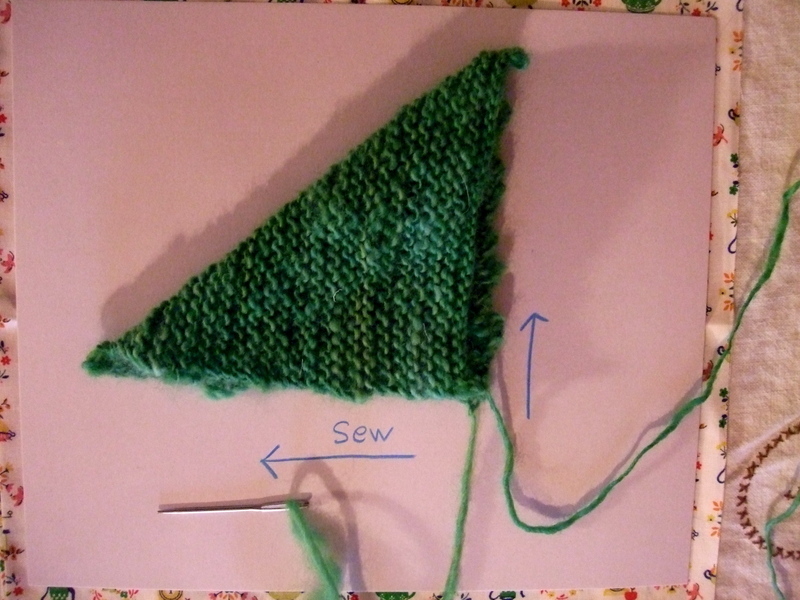 Fold the square diagonally and then sew up the edges leaving a small opening on one end for the stuffing. 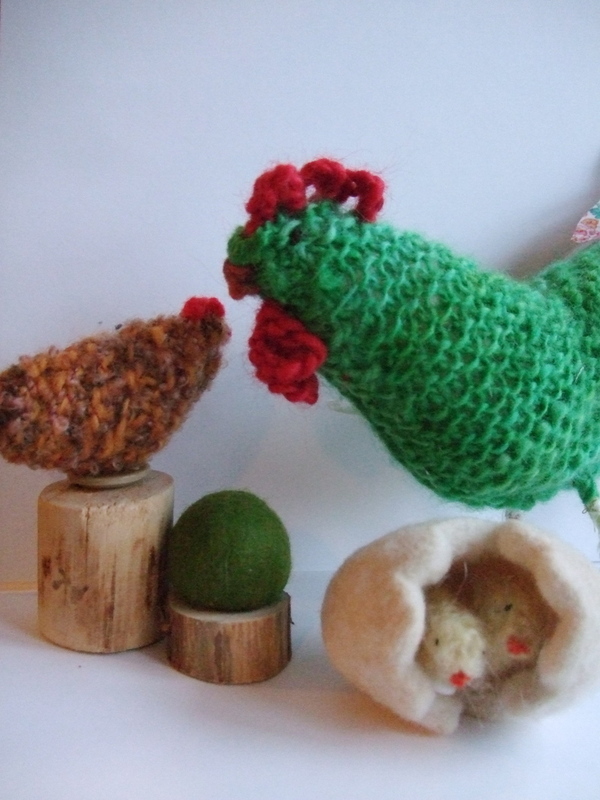 I use natural carded wool for stuffing to stuff my wool animals. After stuffing firmly sew the open end shut. 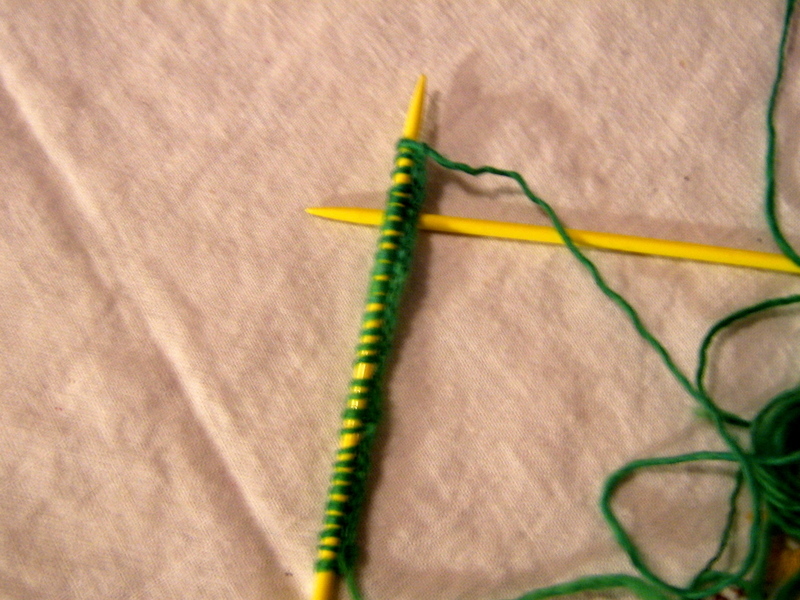 Now thread the needle with a long piece of yarn and starting at the tip of the triangle make a running stitch up and over and down the other side back to where you started . 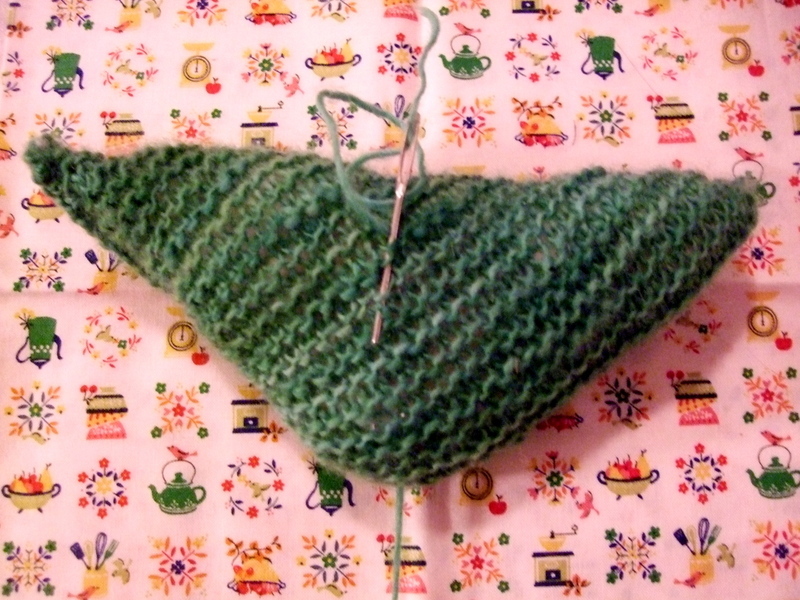 Pull this running stitch so that it pinches the center of the triangle . 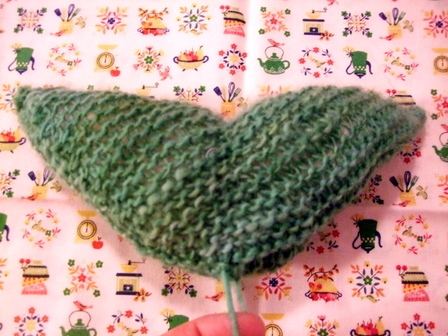 This creates the bird shape. 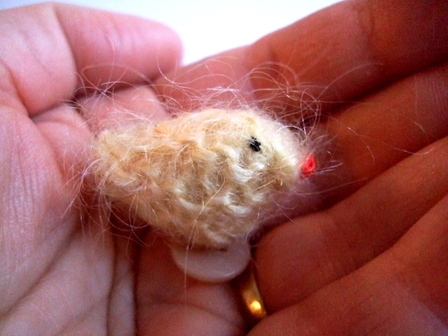 Now choose which end you want to be the face and embroider a beak with a few yellow or orange stitches of wool or embroidery floss and an eye ( I used a dark brown embroidery thread and a french knot for this) . I made the crown and comb with red yarn and a crochet hook just making chain stitch loops and joining them to the main body. Three loops for the crown and 2 longer ones for the comb. 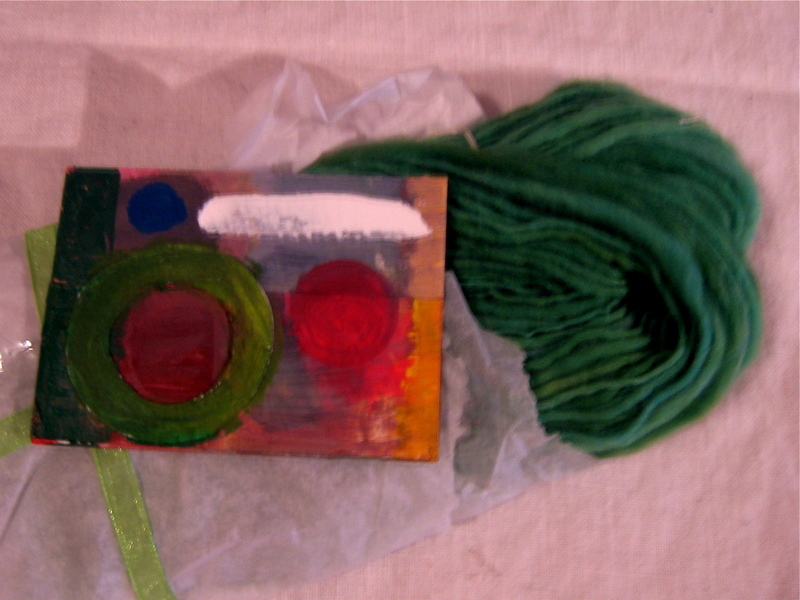 These could also be made of felt or fabric and sewn on . Next I made the wrapped wire legs. I am not very good at making these so I am not going to discuss the details since you probably can do a better job than me but the general idea was that I cut 4 pieces of craft wire about 4 inches in length and poked the 4 wires through the bottom middle of the rooster. 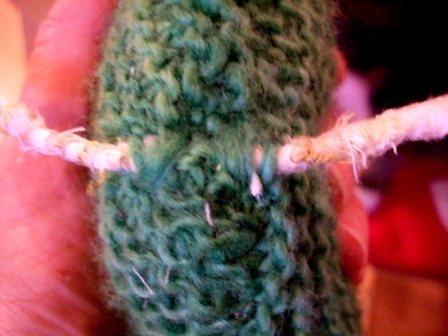 I then wrapped each end with thin fabric strips for about a cm doubling over the ends so that it wasn't sharp . Then I joined them and continued to wrap each side until meeting in the middle. I stitched the ends of the fabric together so that it wouldn't unwind and also stitched them to the knitted undersurface of the rooster so that it held firm. I have no idea if this is the best method for this but it worked for me. Now my attention was turned to the rear end of the rooster. 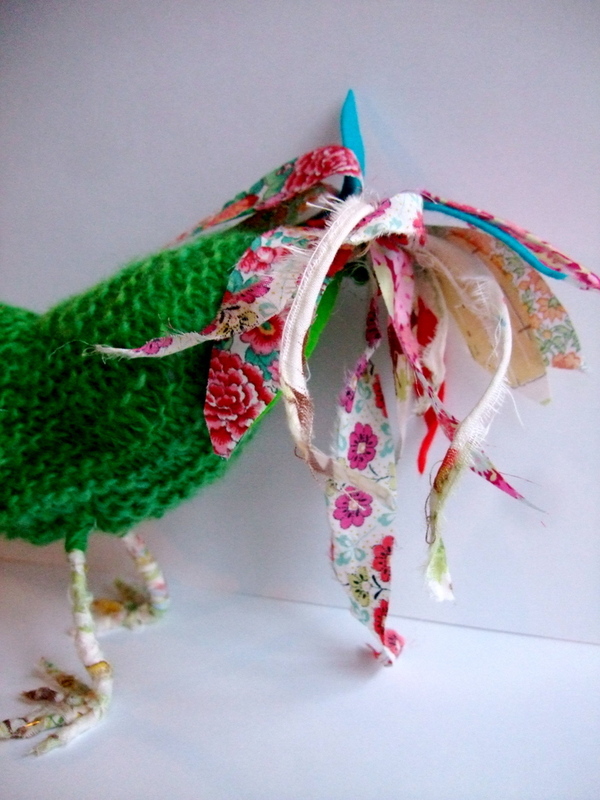 You could substitute some colorful yarn here but I decided to use some of my fabrics for the tail feathers. 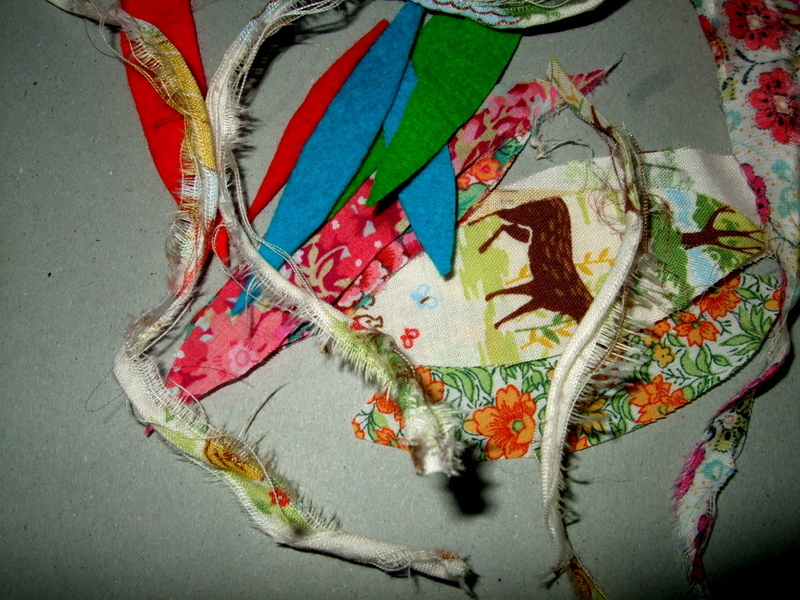 I cut different sizes of feathers out of a number of fabrics ( liberty cotton, felt and japanese prints) , threaded a needle and just joined them all together into a little bunch and sewed them onto the end of the rooster. He is all done now ready to usher in a new day. This same method can be used to make hens and chicks . For those you don't need to make legs or tail feathers and so that they could stand I just sewed buttons on the bottom. 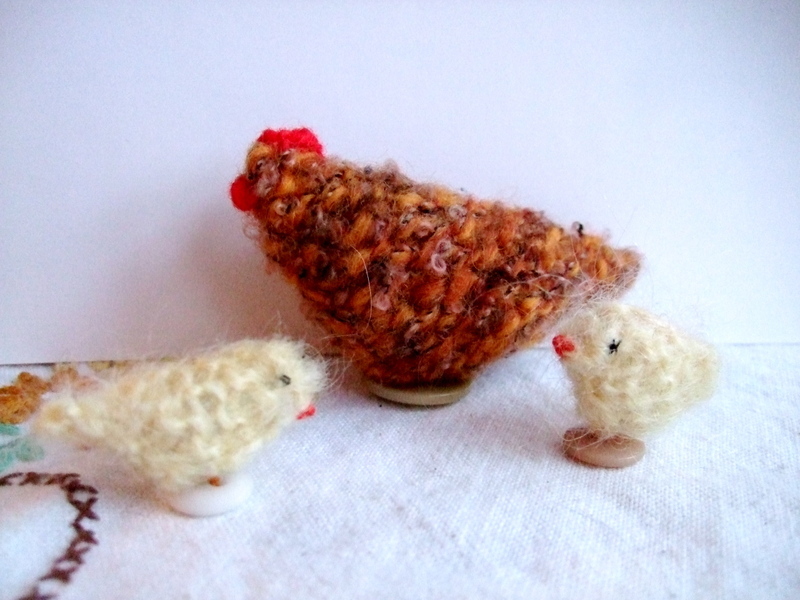 For the hen I cast on 20 stitches and the little chicks 10. 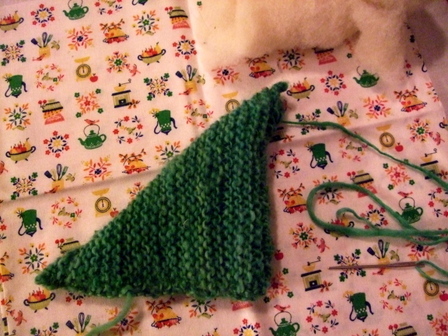 They are very quick and easy to make and would be great projects for children learning to knit. My children always found knitting animals more interesting than little blankets or scarves. They would make great additions to your easter baskets. These are gorgeous. I might even have to give these a go. After I have finished the dozen unfinished crochet/knitting projects I have on the go. Margie this is sooo creative!! I wish that I could knit like you!!! 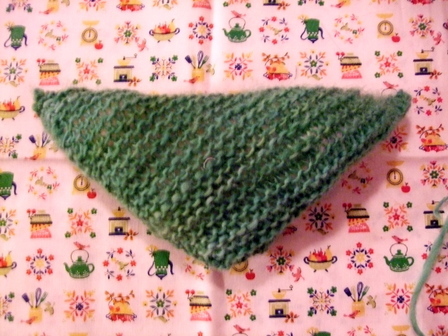 I love how you have taken something so simple - a garter stitch square for crying out loud - and like magic origami, made this fine, proud rooster. I can't decide what I like most, the fabric-wrapped legs or that scrappy, plumed tail. And the chicks on a button just kill me. and I've given you a plug. 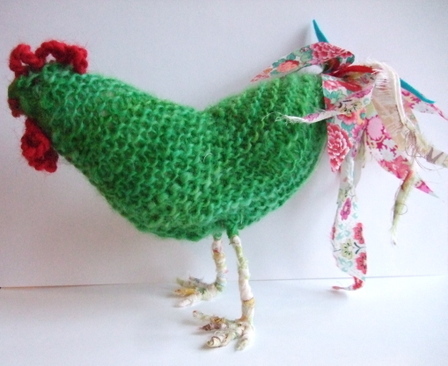 That knitted roosted isn't one of your best creation, anyway thanks for the pattern, and better luck the next time. I have made at home some of those patterns, but I had never made something creative like that, I know that a lot people will love that rooster stuff. So why did we hear rhat the bomb/flashlight was powerful enough to kill a person and creat large amount of damage. I bet the Barista is feeling a little ambaressed but they did the right thing by reporting it. Hey and I bet they well get alot of bussiness. It is very cute. How I wish I can learn how to knit easily. This drives me to practice more. I love this! I am redoing my kitchen in Yellow with red accents. This rooster will look awesome on the counter! I would love to see more of your "inventions" and patterns! very cute! i love it! Thanks!